Lately there has been a lot of news about Zeus Botnets and crackdowns on them. I thought I’d take a moment to tell you why this is important to you and in the larger scheme of things. Identified in 2007, Zeus is a Trojan Horse type of malware that steals banking information by Man-in-the-browser keystroke logging and Form Grabbing. This captures your information then removes your money. While much of this Cyber Battle has been placed upon the banking industries security shoulders this can be solved mostly at the personal level. This cost is then transferred to you and the organization through various form like fees, interest rates, and cost of services. The point of entry for Zeus is most likely a targeted download you were looking for (that latest song or vides, etc) or by a phishing email. Stop clicking links that you don’t trust and get them from industry established and reputable entities and 9 times out of 10 you’ll have no issue. The problem is that there is so much incentive to continue to spread this type of item through the internet (piracy, internet traffic generated advertising, identity theft) that it is an enormous scale fight. You want this fight to succeed and be deterred. For far too long Cyber criminals and Hacktivists have escaped unscathed and without ramification while they inflicted massive damages upon organizations and individuals. This all has occurred while Countries and their Governments worked to identify and create the building blocks for something like the Zeus crackdown. 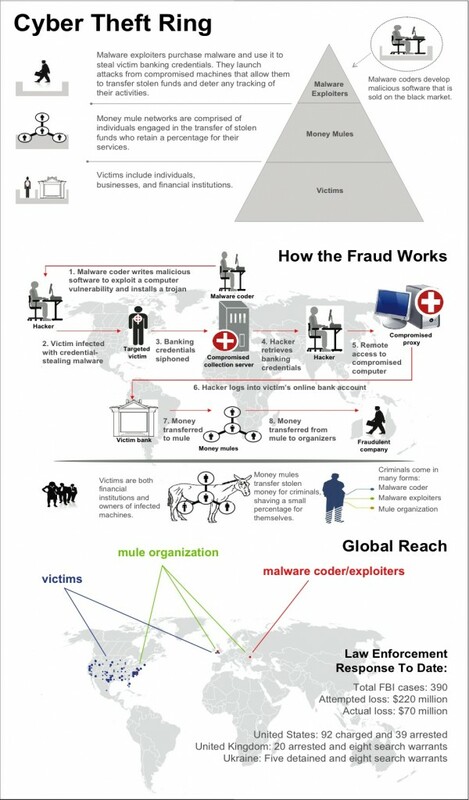 And although Offensive Cyber Crime capabilities still lead the Defensive Cyber Crime capabilities by several years (if Zeus is used as a metric ~5 years of lag) the continued attack on botnet and Cybercrime entities will start to inflict and induce deterrence for future individuals considering starting down this path. 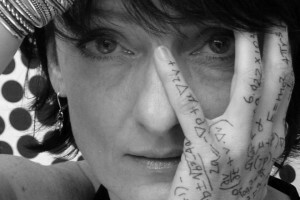 The video above is Dr. Regina Dugan speaking at the DARPA Cyber Colloquium in January 2012. This is video provides an excellent snapshot of what is ongoing throughout the Internet and what we call “Cyberspace”. It also alludes to the “Death by a thousand cuts” I mentioned in my Information Dominance Corps video. The news today is that Dr. Dugan is headed out of DARPA and into the arms of Google. This kind of departure is one of my main concerns for the U.S. Government, Department of Defense, and the U.S. Navy. This concern is rooted in the historical departure of excellent people from these institutions due to the institution’s inability to entice them to stay. The military and Navy have battled this issue for centuries and I think the battle in the realms of Information Technology and Cyberspace will be a far more challenging one. To this point the private sector has traveled through the economic recession and is in full recovery and growth mode in these realms while the government sector is just now facing it with massive budgetary issues. Companies can’t obtain excellent people in these Cyber fields fast enough. Carnegie Mellon University and others can’t create them fast enough. In steps a company like Google, Facebook and others and they gobble up every great candidate. Facebook’s creator visited CMU for just this reason in the last part of 2011. When a company like Facebook wants a great candidate they are no longer simply offering a salary (which already dwarfs those of the government sector) but are able to provide a substantial and comprehensive package. If the candidate puts up a bit of a fight they simply increase the offer. And if the candidates desires are to follow their company start-up dreams and continue with their own company; Facebook will simply buy the company. Starting to see my point? The Government and our Military are significantly challenged when trying to recruit, develop, and maintain this cyber force. They are not only facing a foe in Cyberspace but the economic challenges in one of the most rapidly growing and developing industries in a globally connected world. Compound these considerations with the Military budgets and personnel that are shrinking. While more resources are shifting to the Cyberspace arena the priority changes, funding amounts and personnel may not be adequate enough to mitigate the risks that our Nation is facing. What do you think? How do you keep, maintain, and improve the people required for Cyberspace?